The NFL for the first time is not reserving their teams' Color Rush uniforms for Thursday night games. ENGLEWOOD – Buckle up the chin strap, Big Ben. Here comes the Color Rush. The NFL for the first time is not reserving their teams’ Color Rush uniforms for Thursday night games. 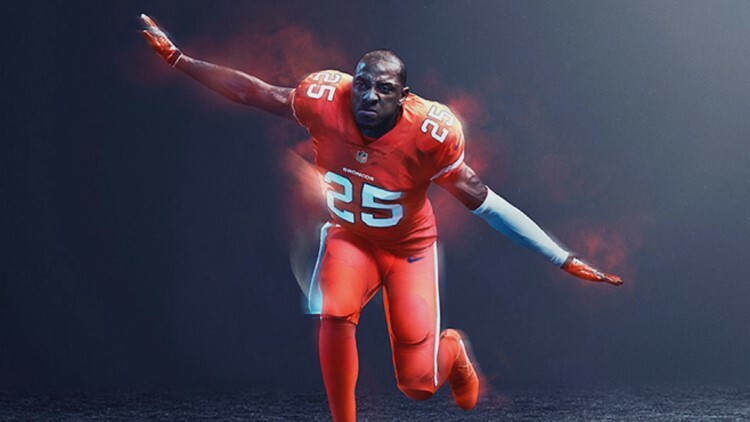 Instead, the Broncos can wear their all-orange uniforms one time, at any time. Per a team source, the Broncos have selected their Week 12 game November 25 against the Pittsburgh Steelers and quarterback Ben Roethlisberger for their Color Rush garb at certain-to-be-at-least-temporarily-renamed-Sports Authority Field at Mile High. 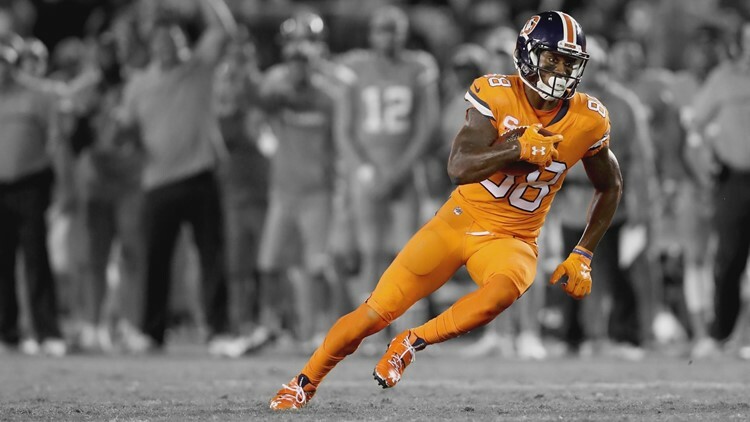 The Broncos wore their Color Rush uniforms for one game each of the past two years, both on the road. This will be the first time the garish-orange ensemble will be on display before the home fans. The Color Rush? Orange jersey, orange pants, orange socks, AND ... old-school, blue helmets. One other league-wide uniform tweak this season: Teams can wear their alternative uniforms for two home games instead of one. The Broncos will wear their alternative navy jerseys with either blue or white pants against the Kansas City Chiefs in a week 4, Monday night home game on October 1 and against the Cleveland Browns for a week 15, December 15 home game. The Broncos’ standard uniform is an orange jersey with white pants at home and white jersey with white pants on the road.